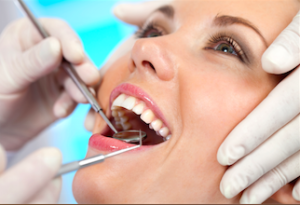 Do you want a more conservative approach instead of aggressive crown procedure? Inlays / Onlays may be your answer. Call for a consolation today at Healthy Body Dental off US Highway 19N and Enterprise in Clearwater fL. In certain cases, inlays and onlays are a conservative alternative to full coverage dental crowns. Dr. Adams believes in being minimally invasive, that means preserving as much natural tooth as possible. An Inlay/Onlay is fabricated in the lab to precisely fit and replace exactly that portion of the tooth that was lost due to decay or breaking. Properly done they can often be used instead of more aggressive crown procedure, offering a well-fitting, stronger, longer lasting reparative solution to tooth decay or similar damage. These restorations are beneficial from both an esthetic and functional point of view, with much less trauma to the rest of the tooth. I like that!